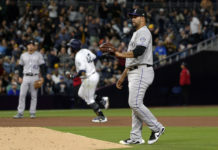 News broke Friday that Major League Baseball had decided to suspend Colorado Rockies shortstop Jose Reyes for the remainder of the month. This, though, is useless news in terms of everyday play, because the Rockies have their guy in Trevor Story. 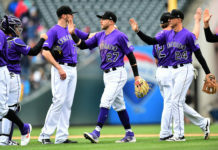 The Rox brought Reyes to Colorado in the trade that sent franchise shortstop Troy Tulowitzki north of the border last season, but he’s been a colossal disappointment since then, on and off the field. For the first time in maybe forever, fans were actually hoping and praying that their player would receive as severe a suspension as possible. And after months of deliberation, commissioner Rob Manfred finally levied his decision yesterday. 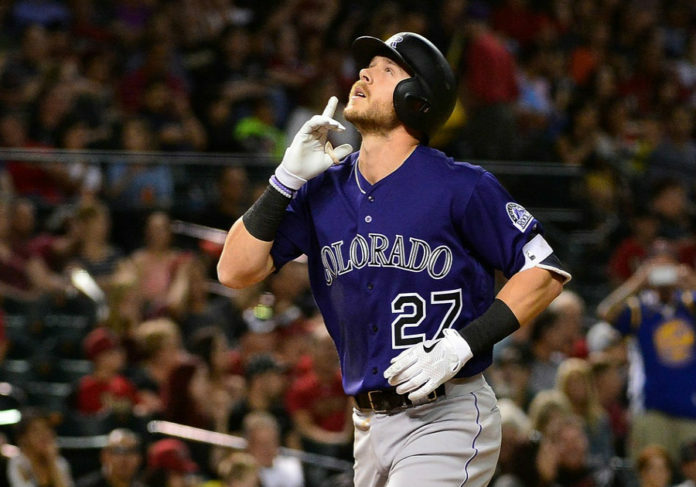 Now, the Rockies have an interesting card to play, as they have an everyday shortstop in Trevor Story and a former All-Star in Reyes. Across Colorado, in the clubhouse and throughout the nation, the decision seems fairly obvious. No matter how much money Reyes is making, Story has earned the starting gig, and then some. Throw in the fact that Reyes’ domestic abuse case has not made many friends throughout the Mile High City, and the decision is even more clear. Story is currently hitting .264 with 11 homeruns and 27 RBIs. To put that into perspective, he’s batted in eight more runs than Jose Reyes did through all 47 games he has played in as a Rockie last season. At this point in time, Reyes has no real role with the Rockies, except for eating up a ton of their payroll. 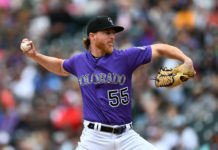 Story has established himself as the future of the Rockies at shortstop, and Reyes might as well be suspended for the season, because he has likely played his last inning for the organization. Story, though, is simply focused on playing baseball.